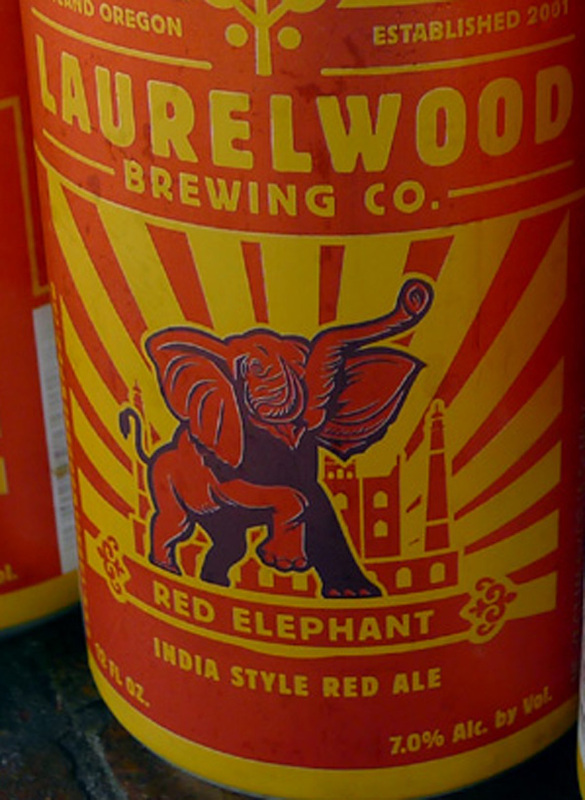 The release of Laurelwood's first canned beer, Red Elephant IRA, is a sort of milestone in a journey that began several years ago. The goal of that journey is to keep the Laurelwood family of brands fresh and on the minds of craft beer fans. But there's more to the story. First the beer. They've been brewing Red Elephant as a seasonal for at least a few years. It packs a bit of a punch at 7.0% ABV and 70 IBU. I thought it an odd choice, given the summer release. But there are reasons for everything..which I shall get to in due time. In fact, the beer is quite refreshing in our warm weather, and also full of flavor. In short, great stuff. 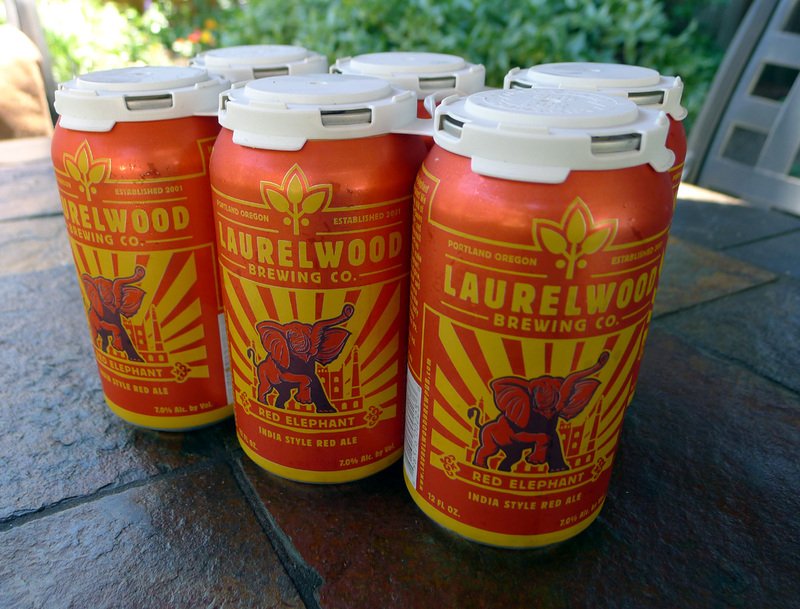 Laurelwood's move to cans follows its move to six-packs of 12 ounce bottles that happened roughly two years ago. It's the logical next step because the six packs of Workhorse and Free Range Red have been a gigantic hit in both Oregon and Washington. "The move to six-packs of bottles was specifically designed as a growth vehicle," said Mike De Kalb, founder and owner of Laurelwood. "Sales of 22 ounce bottles were stuck because our production was maxed out. I saw six-packs as the best option." Strangely enough, De Kalb didn't find much support for his plan. "No one liked the idea," he said. "Our distributors told me I was nuts. They said we were too small, didn't have enough sales staff, didn't have shelf placement or a big chain presence. I even struggled to convince my own people that six-packs were a good idea." Of course, the partial key to winning over hearts and minds was the deal De Kalb signed with the Craft Brew Alliance in 2013. He was leery of the cost and risk associated with building a production brewery. The way he avoided that and still got his beer into six-packs was the deal with the CBA, which agreed to contract brew Workhorse and Free Range Red for that packaging. The production numbers for the two beers are obscure. You won't find them anywhere in OLCC data because the beer is brewed at the CBA's Woodinville, Wash. facility. So the numbers are buried in Washington production stats in the CBA column or row. And the numbers are significant. To understand what the CBA deal has meant to Laurelwood, look no further than OLCC production stats. 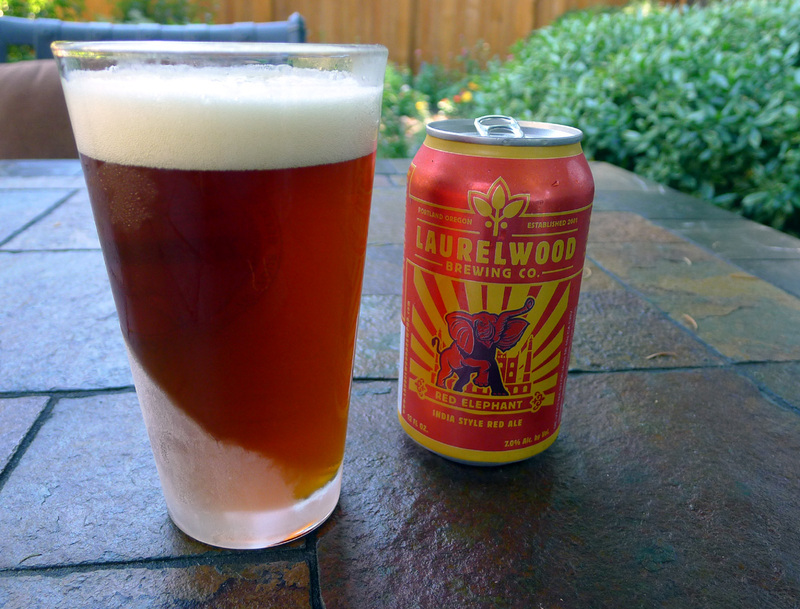 Laurelwood brewed an average of 5,000 barrels at its Sandy Blvd location in 2013 and 2014. Keep in mind that not everything they brewed there is tracked by OLCC stats. Beer sold out of state, for instance. Still, the CBA contract has doubled and will very soon triple Laurelwood's Oregon production. Are they selling some beer or what? The bottom line is that six packs remain the most widely accepted packaging in the industry. Distributors, retailers and consumers all like six packs. If you don't know, Full Sail started this in 1987, when they bravely launched their brand with six-packs. Others eventually followed. Today, many breweries are seeing good results with packaged product. Given the success of the bottles, you might wonder why De Kalb and Co. would want to move to cans. And why Red Elephant is the beer? Fair questions. "I like cans," he said. "They're lighter, they reduce oxidation and I just think they keep the product fresher. Our move there is the same as the six-pack bottles...another growth vehicle. If you're not growing, you're not getting mentioned, there's nowhere for your people to grow and consumers forget about you. You can only sell so much beer over your own bar." De Kalb initially hoped to do two styles in cans. Distributors like having two brands in similar packaging, he says. But he didn't want to compete against himself by putting Workhorse in cans. He thought they would do Mother Lode Golden Ale and Red Elephant. That plan fell through when they discovered a long list of beers out there named Mother Lode Golden Ale. They felt it best to steer away from a name that might result in legal challenges now or down the road. That left Red Elephant, a bold, year-round beer. It took nearly six months to get the project off the ground. They had to get label approvals and have cans fabricated. Cans are a lot cheaper than bottles. That's the good news. The bad news is you have to order a lot of them at one time. Laurelwood bought 80,000 to start with. 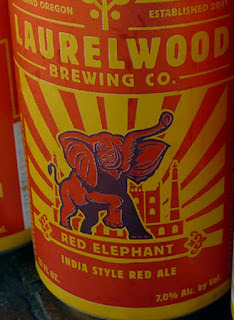 Certainly the most surprising aspect of this story is that Red Elephant is brewed and canned (via a mobile system) at Laurelwood's Sandy location. The success of the CBA-brewed beers and the relatively small (15 bbl) size of the Sandy brewery might lead one to think Red Elephant is being produced the same way. Not so. It turns out the Woodinville brewery does not have a canning line. The CBA's Portland facility (Widmer) has a canning line, but can't produce the beers Laurelwood wants to can. I've heard differing explanations for that. Nothing I can share here. The bottom line is that Laurelwood is managing the production and packaging of this beer in-house for now. "It's a challenge for us," De Kalb admitted. "We can't accommodate the mobile bottler (for 22 ounce bottles) and the mobile canning folks in the same week. It disrupts the flow of things on our brew deck. So we're doing our best to make it work. It's a juggling act." Because production is somewhat limited, you won't be finding Red Elephant cans in the larger chains like Fred Meyer, Safeway, etc. Where you will find it is at local bottleshops and places like New Seasons, Whole Foods and Zupan's. "Red Elephant will be year-round in cans," De Kalb says. "Will it always be on tap at our pubs? Probably, but I can't guarantee it. Shane [Watterson] and his crew are doing a great job of pumping out seasonals while keeping up with the bottling and canning program. These are wild times." 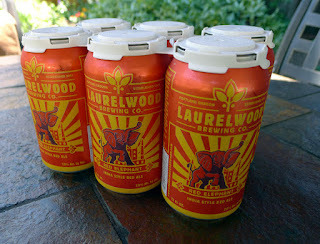 Frankly speaking, I'm pleased to see Laurelwood beer in a can, my preferred packaging. Hopefully, they'll find a way to move Workhorse and Free Range Red to cans at some point. I have no idea how or when that might happen, but I'd love to see it. Keep the faith. Agreed--nice work and fascinating info.